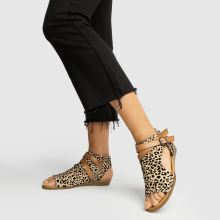 Bring out your wild side this season and add the Balla sandal to the mix. 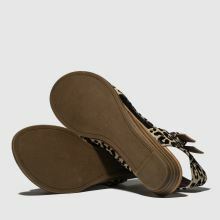 Arriving from Blowfish with fierce style, the fabric upper boasts a leopard print pattern in black and brown tones. 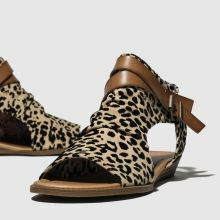 Sleek cut-out sections and buckle detailing finish the look.